At first, I thought that was due to mistakes. But after checking my credit cards, I’ve actually got an American Express card ending with exactly with 2561! I just became a victim of credit card fraud. This entry was posted in Incident and tagged Fraud on October 30, 2013 by Chok Leong. All of a sudden, I received 50+ undeliverable mails in my Yahoo! mail inbox. 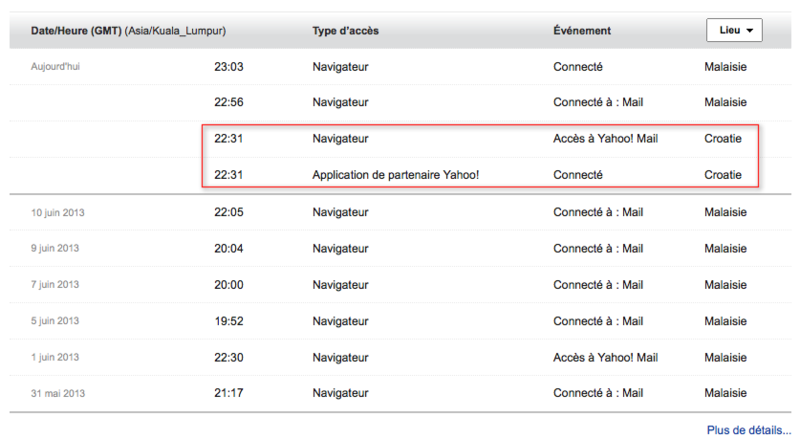 I realized someone just sent spam mails to all my contacts in Yahoo account (150+) using my account. Luckily, most of the contacts are not up-to-date, and the mails sent were bounced back to me. Because of this, I was alerted and changed my password in consequence. I feel sorry for my friends. This entry was posted in Incident and tagged Hacker on June 17, 2013 by Chok Leong.